We offer two levels of service. In both cases our competitive print prices are the same, representing excellent value for the experience and expertise we bring to your work. Your workflow is fully colour-managed and that your monitor is properly calibrated. Your files are clean and free from sensor marks, dust marks or retouching errors. Your layouts are accurate and ready to print. We do a basic file check before printing. If we find any problems we will contact you. If you are working on a laptop or uncalibrated screen, we strongly recommend spending time with us checking your files. This time falls under our Directed Service charge. During the Standard Service initial file check, if we see anything that we think needs amending, we will contact you for further direction. Managing a file correction process with you will be charged as Directed Service. This may involve going through the amendments with you for resubmission or, if you prefer, we can take care of it for you. 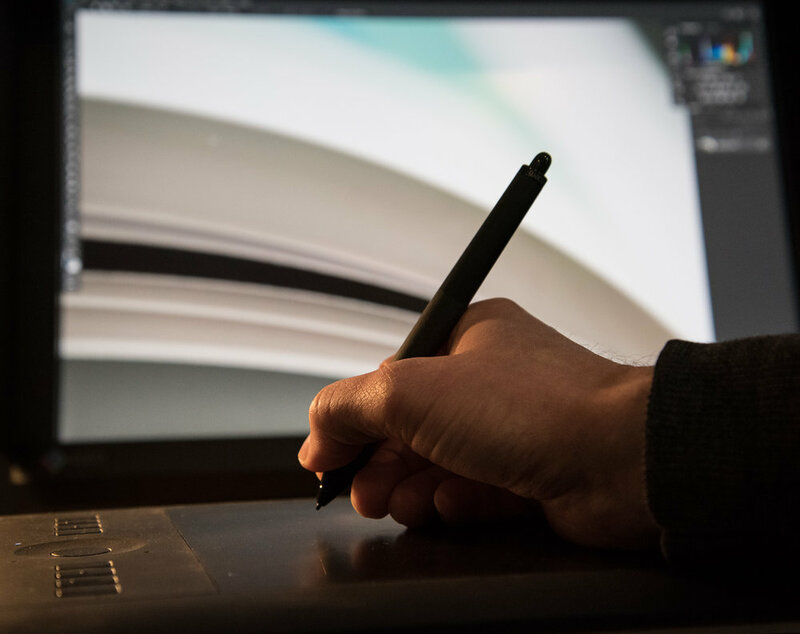 If you wish to take advantage of our calibrated set-up and colour-managed workflow, you can sit down with us and together we will check your files, layouts, colour accuracy, adding adjustment layers and/or cleaning the files where necessary. We also offer basic layout services to make your portfolio pages. £60/hour pro rata. Minimum charge is £15. In addition to our portfolio printing service, we provide film scanning and photo retouching services. The Imacon/Hasselblad Flextight 848 scanner produces high quality, high resolution 16-bit or 8-bit scans from all negative and transparency films.